Team17 has announced that Mugsters, an upcoming physics-based, action puzzle game, will arrive on Nintendo Switch on 17th July. 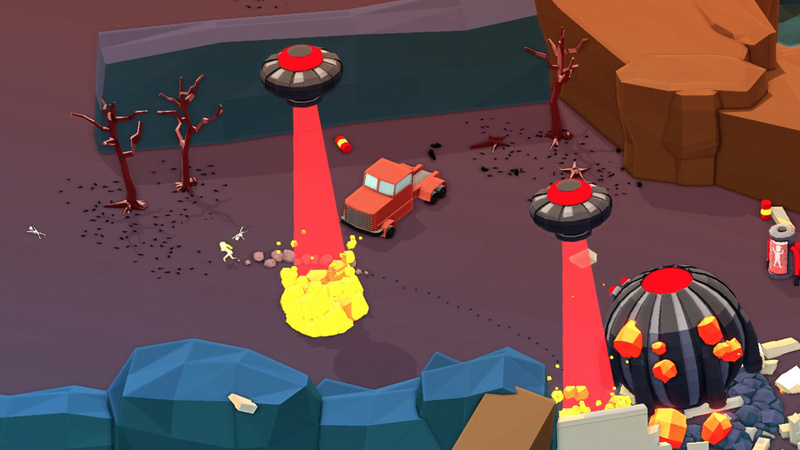 Taking place inside a variety of sandbox-like levels, Mugsters has players experimenting with a whole host of different vehicle types, environmental traps, and usable items such as explosives to clear their way through each level and outsmart their enemies. There are over 30 vehicles to drive around in, each with their own unique feel, including cars, motorbikes, helicopters, planes, and even an ice cream van. Back in April, when Mugsters was first officially announced, we were lucky enough to go hands-on with the game, and also spent some time chatting to Finnish developer Reinkout to explore the title in a little more detail. If you’re interested, make sure to give those a thorough read. Mugsters is scheduled to launch for £9.99 / €14.99 / $14.99 when it arrives on the Nintendo Switch eShop in a couple of weeks’ time. Will you be jumping in the driving seat for this one? Let us know if Mugsters is speeding onto your gaming wishlist with a comment below.